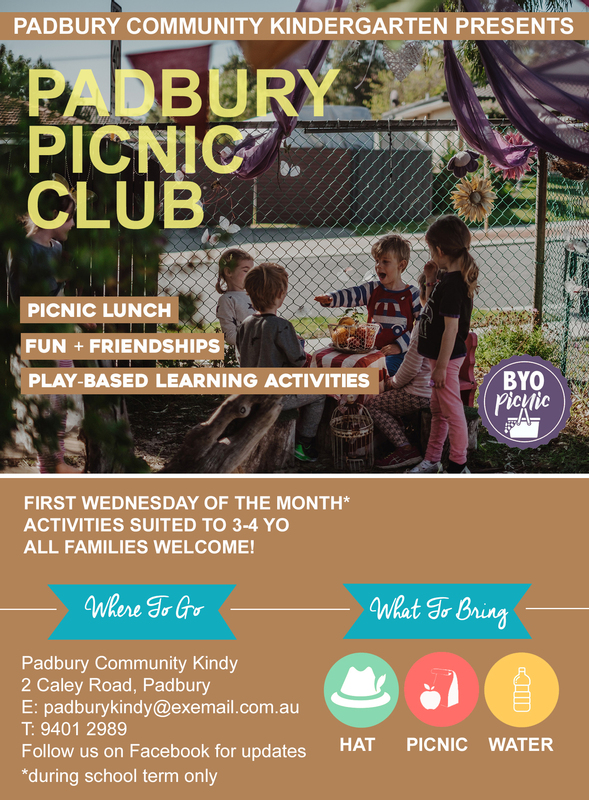 Padbury Community Kindy hosts a picnic club on the first Wednesday of every month (during term time). Bring your own lunch, hat and a smile and spread out a picnic blanket under the shade of our 200 year old Tuart tree. A play-based learning activity will be available and children can play in the grounds of the kindergarten. Suited for children 2-4 years, the whole family is welcome. A great opportunity to have a sneak-peek of the kindy too, for families considering sending their children here one day.